A decorative sticker for your child. Is it too cold to go to the beach? 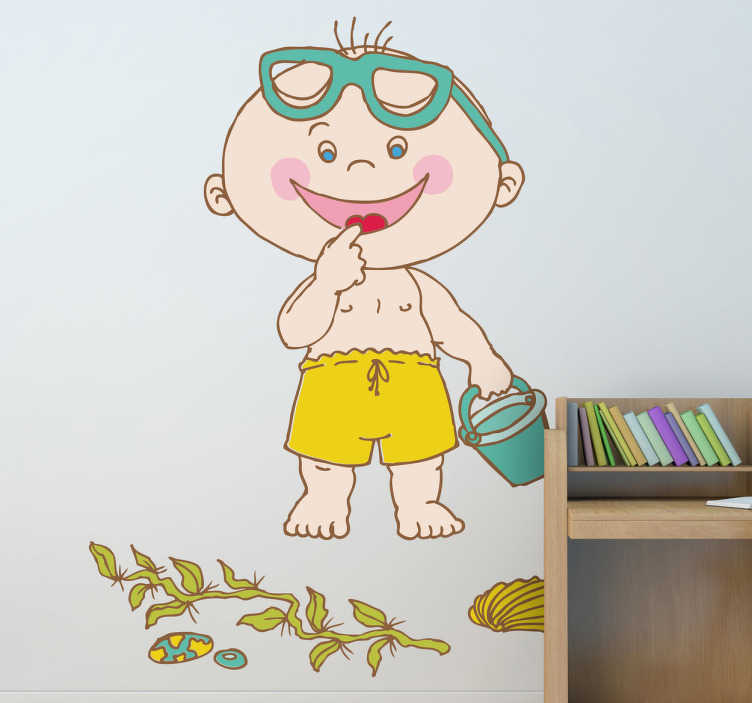 Make your child happy with this fantastic decal design. This wall sticker reflects exactly the feeling of happiness when you go to the beach. A little boy with his bucket in swimming trunks, ready to dig and build a sandcastle. This original decal creates a fun and entertaining atmosphere.